Kindle prepper Deals for Tuesday! 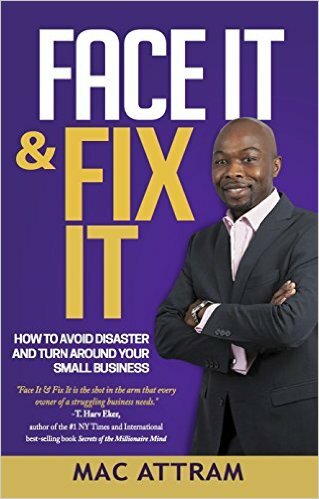 *Face It & Fix It: How to Avoid Disaster and Turn Around Your Small Business by Mac Attram. Price: Free. Genre: How To Avoid Disaster in Business, Sponsor, Decision-Making & Problem Solving. Rated: 5 stars on 8 Reviews. 111 pages. ASIN: B01GIR6OKS. *Fiction Writing Hacked! : How To Write Page Turning Fiction That Sells (Deal, Not Free) by Jeremy Woolf. Price: $0.99. Genre: How to Write Fiction Book Deal, Sponsor, Skills for Authors, Education & Reference, Writing Skills, Education & Teaching. Rated: 5 stars on 1 Reviews. 62 pages. ASIN: B01FENUW4Q. Prepper’s Pantry: 55 Most Popular Convenience Food for Tasty Life Saving Meals (Prepper’s Pantry Books, Prepper’s Pantry, Prepper survival) by Melvin Garcia. Price: Free. Genre: Canning & Preserving, Disaster Relief, Survival & Emergency Preparedness, Cookbooks, Food & Wine. Rated: 4.1 stars on 13 Reviews. 29 pages. ASIN: B01G8BN9QQ. Previous Previous post: Kindle Prepper Deals for Sunday! Next Next post: Kindle Prepper Deals for Wednesday!